The model # of each lamp is designated on the wick raising knob (except Models 1-4). 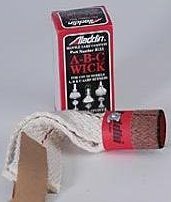 UPDATE 12.28.18 - Aladdin has raised their prices on most items and have threatened me to keep my prices to their high ''standards'' or they will sell me no more products. 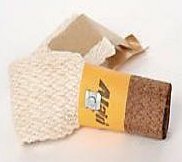 Keeps bugs from dropping down the chimney and breaking your mantle. 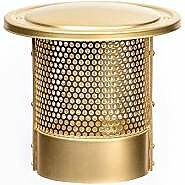 It also functions as a smoke bell and disperses the heat from the chimney, reducing clearance to combustibles from 36" to 24". 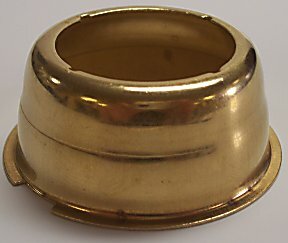 Solid brass 3.5" tall Two uses in one accessory, easy to install. 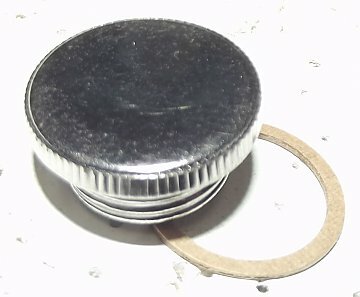 Made for Aladdin, it works on any oil lamp with glass chimney top diameter less than 2.25". Replaces the #N103 Bug Screen and #960 Smoke Bell. 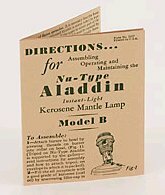 Aladdin lamps were made in the USA until 1963 (by Plume & Atwood, Meriden, CT), after which brass lamps were imported from England. Only the glass lamps continued to be made in the USA. 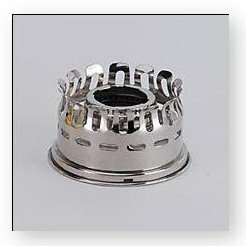 Since 1977 the Aladdin burners have been manufactured in Hong Kong while the fonts are made in the USA and England. Chimneys, wicks and mantles are made in other countries today. The early lamps (Models 1 through 12) were made primarily of brass and nickel plated. 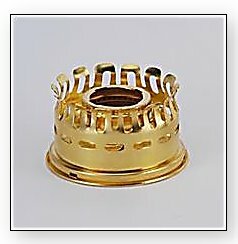 Models 1-12 are center-draft lamps. 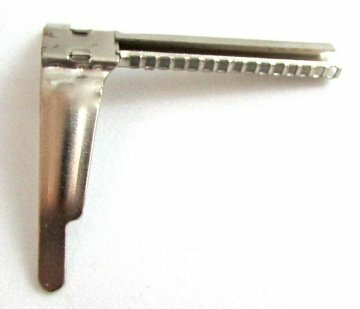 Subsequent models use side draft burners which cannot be used in the earlier lamps. The side-draft burner permitted the company to make glass fonts and beginning in the 1930s glass lamps were made in many attractive colors and patterns. The model of each lamp is designated on the wick raising knob (except Models 1-4). Models changed as improvements were made due to new patents, or changes in the operating mechanism. 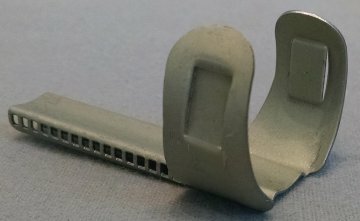 Many of the models look very similar in outer appearance. Some parts are interchangeable while many are not. England Sales were established in England in 1919, importing directly from the USA. Manufacturing of the following models began there in 1933. 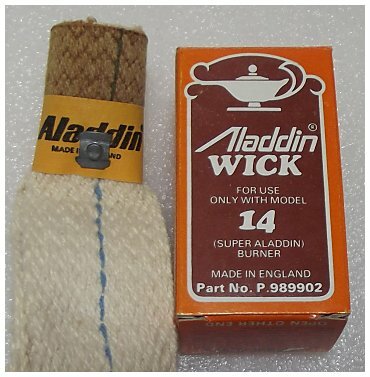 Since about 1955 Aladdin UK lamps and burners are made in China and imported through Hong Kong. See Aladdin Lamp History for more information. The lamps above were made in the old Plume & Atwood factory in Meriden, CT. The great floods of August, 1955 destroyed the factory and all the tooling. 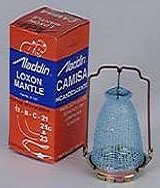 Aladdin lamps made after this date were made in China. 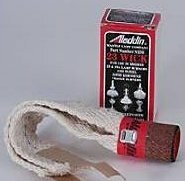 For All Heater wicks, click here.